Q: What’s your response when people say the Mac engineers stole everything from Xerox’s Palo Alto Research Center? A: I just say, well, someone doesn’t know what they’re talking about. Maybe in the very broadest sense we were inspired by Xerox. But literally no code was taken, I mean not a single line of code. Q: Didn’t a lot of people join Apple from Xerox? A: Just one person on the Mac team, more on the Lisa team–four or five. Many of the ones who came from PARC came after the Mac shipped. Alan Kay, who was the visionary and driving force behind Xerox PARC, came to work at Apple just about the time I was leaving, in March 1984. Once he came there, about 10 PARC people came. Apple Lisa 2 screenshot – © Apple Computer, Inc. Although much influenced by the work at Xerox PARC, Apple engineers developed their Lisa computer’s similar graphical user interface from scratch. The commercial failure of the Lisa was a result of its high price and poor performance, not its features. Besides, in the context of the dispute with Apple about the plagiarism accusations around the first Windows versions, Microsoft had pointed out that Apple and Microsoft had both helped themselves generously at XEROX. In the early ’80s Steve Jobs needed help from Bill Gates: Apple was developing its first Macintosh. Microsoft, which had supplied IBM with the MS-DOS operating system for its PCs, was invited to be the Mac’s first software developer. Early Mac developer Andy Hertzfeld says that when Jobs recruited Microsoft he feared it “might try to copy our ideas into a PC. Steve made Microsoft promise not to ship any software that used a mouse – until at least one year after the first shipment of the Macintosh”. Gates arrived alone to find himself surrounded by 10 Apple employees. “You’re ripping us off,” Jobs shouted. Apple sued Microsoft in 1988. Six years later a judge threw the case out. JT: In your book you allude to Xerox as being, to Bill Gates, the rich uncle that both Apple and Microsoft stole from. What was the relationship like with PARC when you were developing the Mac and how did the Xerox researchers feel about the Mac? AH: Well, we had no formal relationship with PARC while we were developing the Mac. We got a single demo before the Mac project got off the ground, when the LISA project, that sort of cousin or bigger brother of the Mac, was in development. 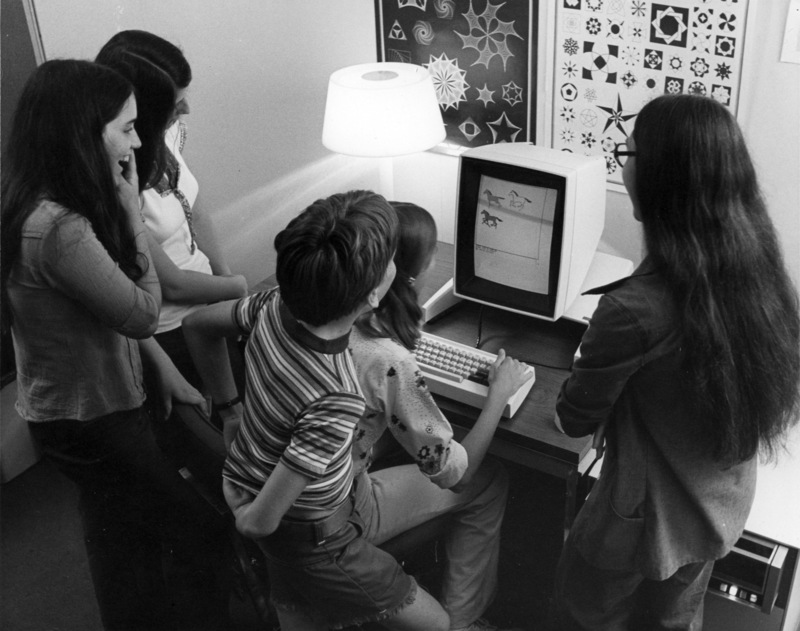 And so from that one demo we were already pointed in that direction but I would say that Xerox PARC demo galvanized and reinforced our strong opinion that the graphic user-interface was the way to go. And then the influence of PARC was strong in the project, but not through a formal relationship with PARC; more through PARC people getting wind of what we were doing and coming to work at Apple. The very first one was Tom Malloy on the LISA project. He was sort of a disciple of Charles Simonyi–I write about that a little bit in my book. He was one of the original LISA people who came to Apple in 1978. But later, Larry Tessler was a really key figure coming to the LISA team in the summer of 1980 from Xerox PARC and eventually, mostly after the original Mac shipped, there were a dozen or more. Another person I have to mention is Bruce Horn who started working at Xerox PARC when he was 14 years old; he was one of those kids they picked from a Palo Alto High School to teach Smalltalk to and he was one of the four or five key Macintosh developers. And of course he was steeped in all of the PARC values and through Bruce, a lot of them made it into the Macintosh. AH: Oh there was nothing like that; Steve Jobs has a good quote. It’s actually a Picasso quote that he often cites; he cited it at one of our retreats which was sort of good artists copy; great artists steal. And what that means is that when you’re passionate about what you’re doing you’ll take ideas from anywhere and with no guilt. You want to make the best possible thing and that was our mentality. JT: I have to say I actually worked for Xerox AI Systems in 1986 and it was kind of frustrating because they really had the mentality there that if you couldn’t sell paper and toner for [them] they weren’t interested. AH: Oh sure. Xerox in a well-documented fashion – they had at least the possibility of having the world at their feet there with the work that Alan Kay and his team did. But yeah; they completely blew it and most of the best PARC people were really frustrated by the Xerox management. There’s no doubt of that; that’s one of the reasons why Steve Jobs is great. You had someone leading the company who could relate to the customers and appreciate things. What’s your response when people say the Mac engineers stole everything from Xerox’s Palo Alto Research Center? I just say, well, someone doesn’t know what they’re talking about. Maybe in the very broadest sense we were inspired by Xerox. But literally no code was taken, I mean not a single line of code. Didn’t a lot of people join Apple from Xerox? Just one person on the Mac team, more on the Lisa team–four or five. Many of the ones who came from PARC came after the Mac shipped. Alan Kay, who was the visionary and driving force behind Xerox PARC, came to work at Apple just about the time I was leaving, in March 1984. Once he came there, about 10 PARC people came. Yeah, sure. The people developing the stuff at Xerox PARC were different types of people. Some were professorial and academic, and they didn’t really care if their stuff was used by people. They just wanted to explore new ideas. They were happy there. But the people who wanted to make an impact on the world and improve the lives of their friends and stuff like that, they were very frustrated–nothing ever came out. So they saw Apple come out with something that embodied all of their ideals, but their kid brother could afford it. They were very attracted to that. They came to Apple to make a difference. Myth: Copyright Theft, Apple Stole GUI from Xerox PARC Alto | Obama Pacman.